Helen Mirren Playing Valet to Russell Brand's "Arthur"
Helen Mirren is taking on the role that won Sir John Gielgud his only Oscar. 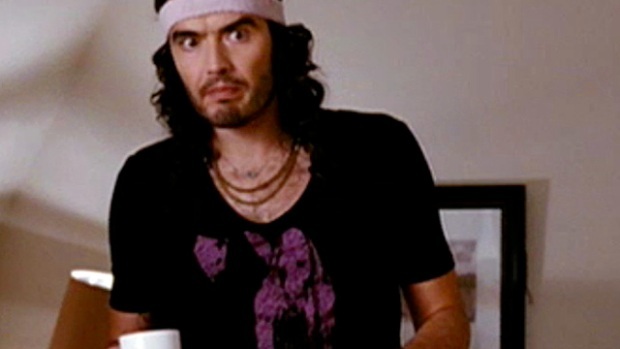 For their remake of the 1981 Dudley Moore film "Arthur," Russell Brand and his co-conspirators have known for some time that they wanted to switch the role of Hobson, the title character's personal valet. They had originally expressed interest in Meryl Streep, but getting Helen Mirren to take the part can hardly be considered settling. In the 1981 original, Dudley Moore plays a drunken millionaire who thumbs his nose at his family's wishes by falling in love with the blue collar girl next door, played by Liza Minnelli. Along the way, Arthur seeks counsel from his trusty butler Hobson, played by Sir John Gielgud. The "Forgetting Sarah Marshall" spin-off hits theaters June 4, and judging by the trailer it's about half as smart, twice as funny and equally entertaining. Brand has proven himself a natural at playing a self-absorbed, besotted lout and one could easily imagine Mirren as the beleaguered nursemaid to such a buffoon... Directing the film is Jason Winer, who got the job based on his work on "Modern Family," the breakout sitcom of this past season.